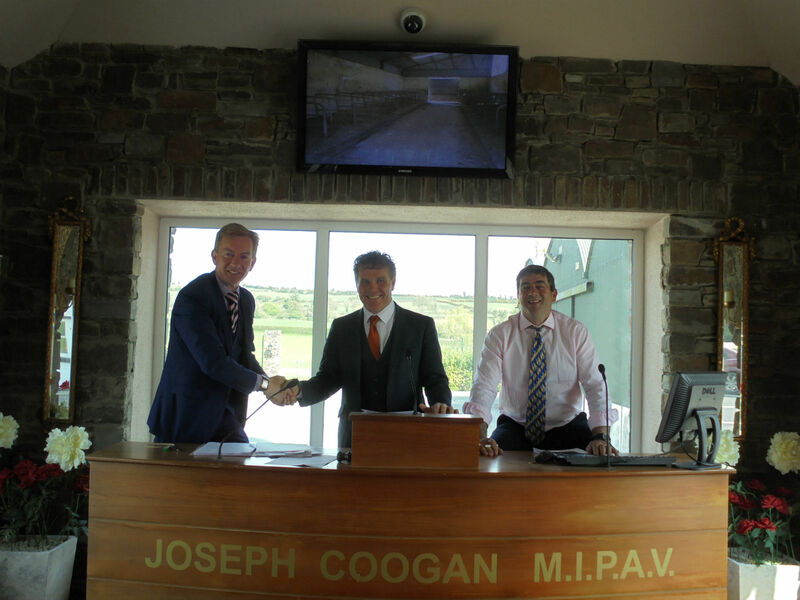 Joseph Coogan Auctioneer is expert in, residential, land, commercial sales and letting. We achieve the best prices for our clients. • Check the guide price. The Guide price is approximately 10% below the reserve. (AMV) (Advised Market Value). • Public Viewings are conducted at week ends on the property. • Get a registered surveyor to look at the property. • Energy Rating (Ber Cert) must be completed prior to advertising a residential or commercial property. • Conditions of Planning Permission must be complied with. • Prior to Selling or Purchasing property contact your Solicitor, Accountant or Tax Advisor. 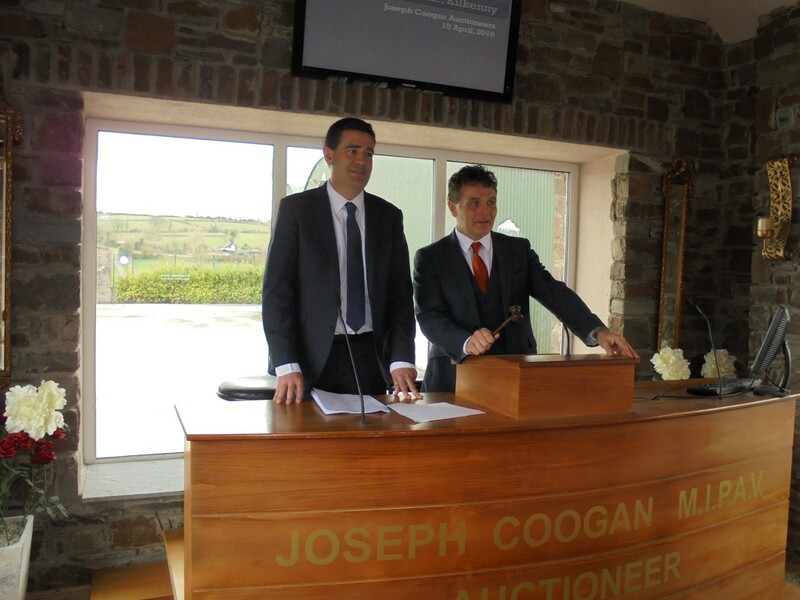 • All public auctions are conducted at the Auction Room Ballycomey House, Castlecomer, Co Kilkenny. 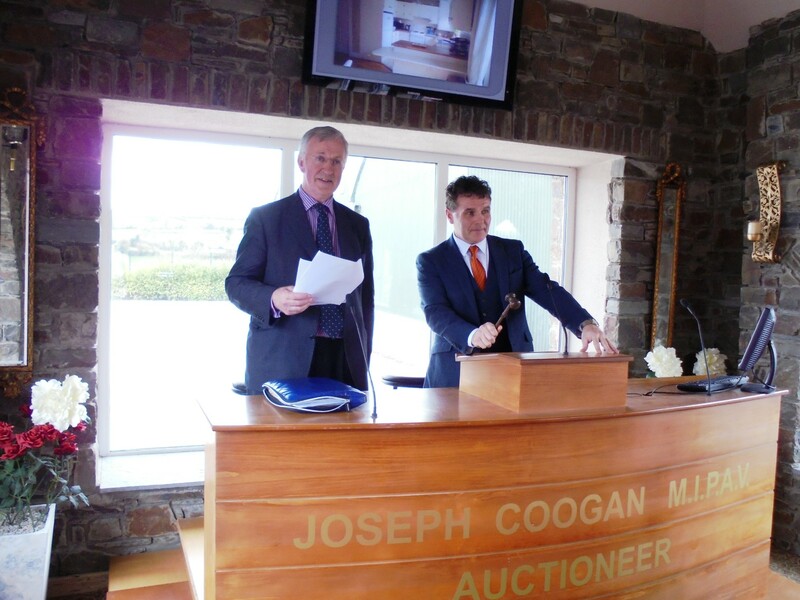 • If purchasing a property you must attend the auction, or have a representative eg. Solicitor, Accountant, or nominated person to bid. • Completion of sale is usually 4 – 6 weeks after the auction date. • Arrive 30 minutes before Auction. • View their property on Power Point Presentation in Auction Room. • Meet with their Solicitor in the Conference Room. 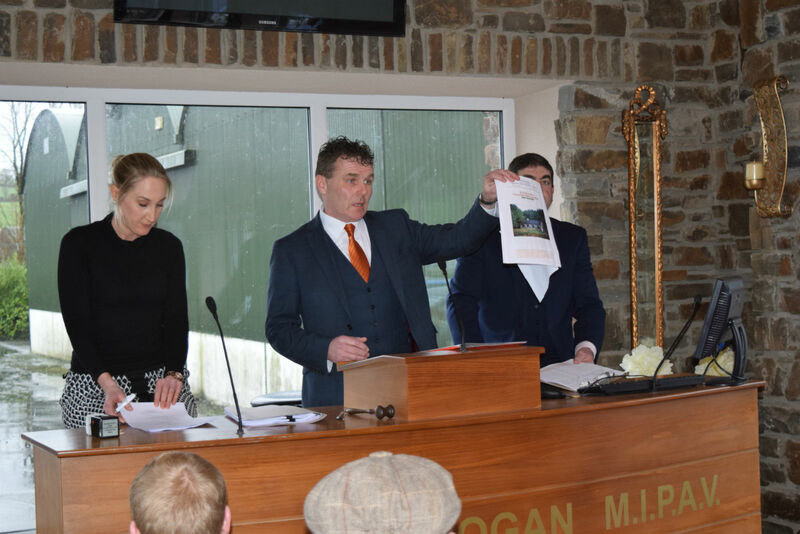 • As the auction is being conducted the sellers have a screen and can see and hear the commentary of the auction as it takes place. • When the property sells the vendor (owner) signs legally binding contracts. • Arrive and have an opportunity to view property on Power Point Presentation on screen in Auction Room. • In land sales a map of the lands is given to all who attend. • Solicitor reads out conditions of sale. • Intended purchasers have an opportunity to ask relevant questions. 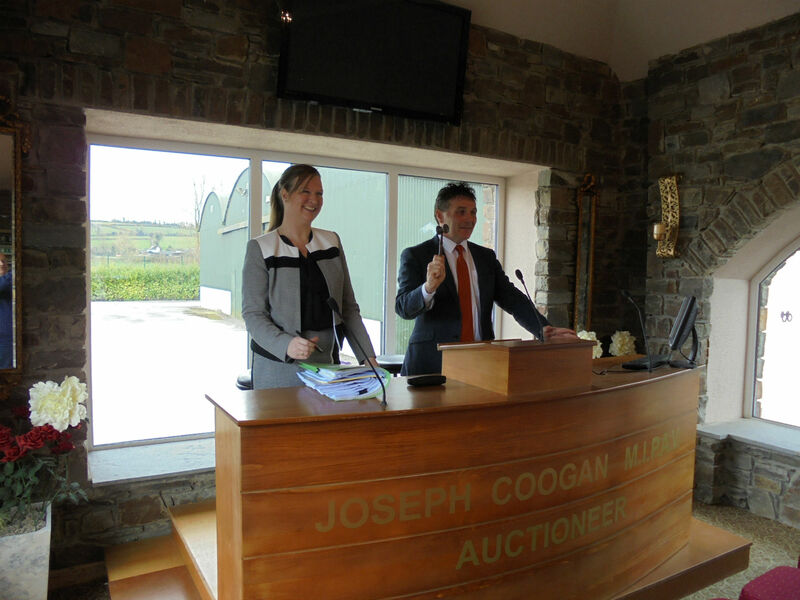 • Auctioneer commences the Auction. • If reserve is reached the property is placed on the market (property going to be sold) the highest bidder buys the property. 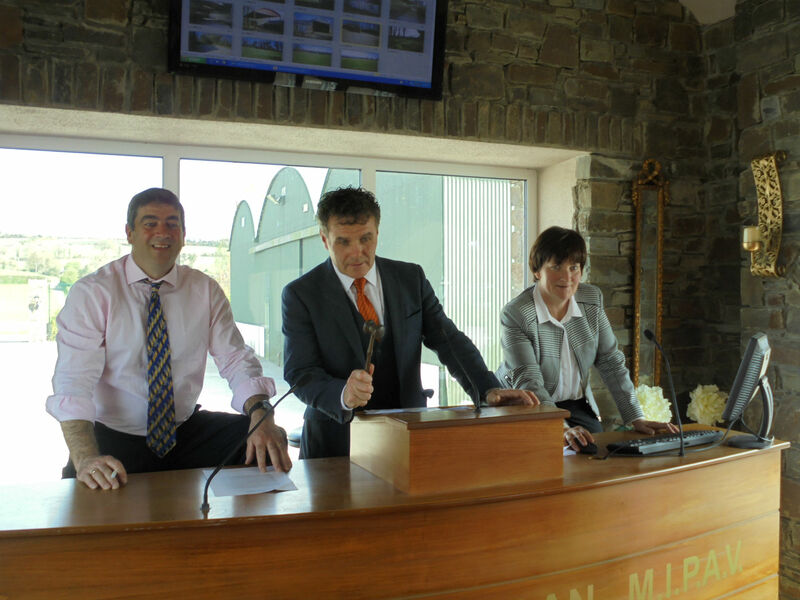 • The highest bidder leaves the auction room and enters a private office to sign contracts and pay 10% deposit to the solicitor/auctioneer. 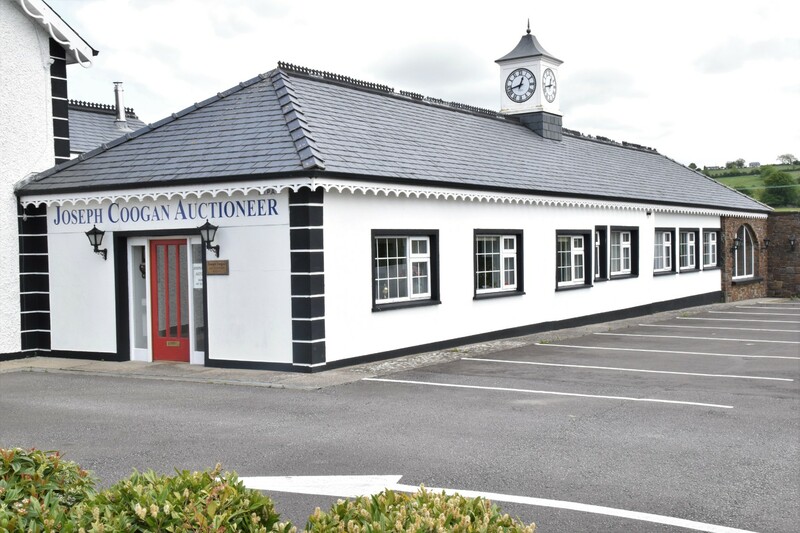 Our auction house is based in Castlecomer, Co. Kilkenny. It is easily accessible from all surrounding counties. Our auction house has the following facilities. Seating for up to 100 people. Private conference room for vendor. Video link to conference room for vender.